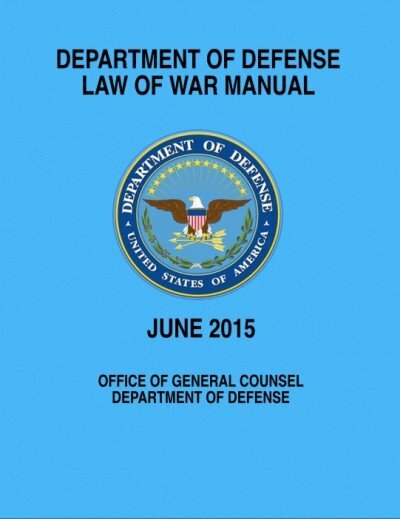 The Obama U.S. Department of Defense (DoD) has quietly issued its important Law of War Manual, and, unlike its predecessor, the 1956 U.S. Army Field Manual, which was not designed to approve of the worst practices by both the United States and its enemies in World War II, or after 9/11, this new document has been alleged specifically to do just that: to allow such attacks as the United States did on Dresden, Hiroshima, and Nagasaki, and in Iraq, and elsewhere. First here will be a summary of previous news reports about this historically important document; then, extensive quotations from the actual document itself will be provided, relating to the allegations in those previous news reports. Finally will be conclusions regarding whether, or the extent to which, those earlier news reports about it were true. The document was first reported by DoD in a curt press release on June 12th, with a short-lived link to the source-document, and headlined, “DoD Announces New Law of War Manual.” This press release was published and discussed only in a few military newsmedia, not in the general press. That news article attracted some attention from journalists, but no link was provided to the actual document, which the U.S. DoD removed promptly after issuing it. Patrick Martin at the World Socialist Web Site, then headlined on August 11th,“Pentagon manual justifies war crimes and press censorship,” and he reported that the Committee to Protect Journalists was obsessed with the document’s implications regarding journalists. A link was provided to the document, but the link is dead. Ross did not link to the actual document. The only new information he provided about it consisted of Boyle’s opinions about it. Though the DoD removed the document, someone had fortunately already copied it into the Web Archive, and I have linked to it there, at the top of the present article, to make the source-document easily accessible to the general public. The document is 1,204 pages. So, finally, the general public can see the document and make their own judgments about it. What follows will concern specifically the claims about it that were made in those prior news articles, and will compare those claims with the relevant actual statements in the document itself. Reading what the document says is worthwhile, because its predecessor, the Army Field Manual, became central in the news coverage about torture and other Bush Administration war-crimes. First of all, regarding “journalists,” the document, in Chapter 4, says: “4.24.2 Journalists and other media representatives are regarded as civilians;471 i.e., journalism does not constitute taking a direct part in hostilities such that such a person would be deprived of protection from being made the object of attack.472.” Consequently, the journalism professor’s remark is dubious, at best, but probably can be considered to be outright false. The charge by the international lawyer, Professor Boyle, is a different matter altogether. This is directly counter to what Professor Boyle was alleged to have charged about the document. Mines, cluster munitions, incendiary weapons, herbicides, nuclear weapons, and depleted uranium munitions, are all almost uncontrollably violative of the restrictions that were set forth in Chapter 5, preceding. 6.5.4.4 Expanding Bullets. The law of war does not prohibit the use of bullets that expand or flatten easily in the human body. Like other weapons, such bullets are only prohibited if they are calculated to cause superfluous injury.74 The U.S. armed forces have used expanding bullets in various counterterrorism and hostage rescue operations, some of which have been conducted in the context of armed conflict. The United States still has not gone as far as the 1899 Declaration on Expanding Bullets. The U.S. presumption is instead that expanding bullets have not “produced unnecessarily severe or cruel wounds.” This is like George W. Bush saying that waterboarding, etc., aren’t “torture.” The document goes on to explain that, “expanding bullets are widely used by law enforcement agencies today, which also supports the conclusion that States do not regard such bullets are inherently inhumane or needlessly cruel.81” And, of course, the Republicans on the U.S. Supreme Court do not think that the death penalty is either “cruel” or “unusual” punishment. Perhaps Obama is a closeted Republican himself. The use of depleted uranium was justified by an American Ambassador’s statement asserting that, “The environmental and long-term health effects of the use of depleted uranium munitions have been thoroughly investigated by the World Health Organization, the United Nations Environmental Program, the International Atomic Energy Agency, NATO, the Centres for Disease Control, the European Commission, and others. None of these inquiries has documented long-term environmental or health effects attributable to use of these munitions. If those figures are accurate, then the reasonable presumption would be that depleted uranium should have been banned long ago. Continuing to assert that it’s not as dangerous a material as people think it is, seems likely to be based on cover-up, rather than on science. Until there is proof that it’s not that toxic, the presumption should be that it must be outlawed. Those provisions would eliminate George W. Bush’s ‘justification’ for the use of tortures such as waterboarding, and humiliation. Therefore, even if Bush’s approved forms of torture were otherwise allowable under Obama’s new legal regime, some of those forms, such as waterboarding, and even “insults,” would be excluded by this provision. Therefore, specifically as regards torture, the Obama system emphatically and clearly excludes what the Bush interpretation of the U.S. Army Field Manual allowed. What seems undeniable about the Law of War Manual, is that there are self-contradictions within it. To assert that it “reads like it was written by Hitler’s Ministry of War,” is going too far. But, to say that it’s hypocritical (except, perhaps, on torture, where it’s clearly a repudiation of GWB’s practices), seems safely true. This being so, Obama’s Law of War Manual should ultimately be judged by Obama’s actions as the U.S. Commander in Chief, and not merely by the document’s words. Actions speak truer than words, even if they don’t speak louder than words (and plenty of people still think that Obama isn’t a Republican in ‘Democratic’ verbal garb: they’re not tone-deaf, but they surely are action-deaf; lots of people judge by words not actions). 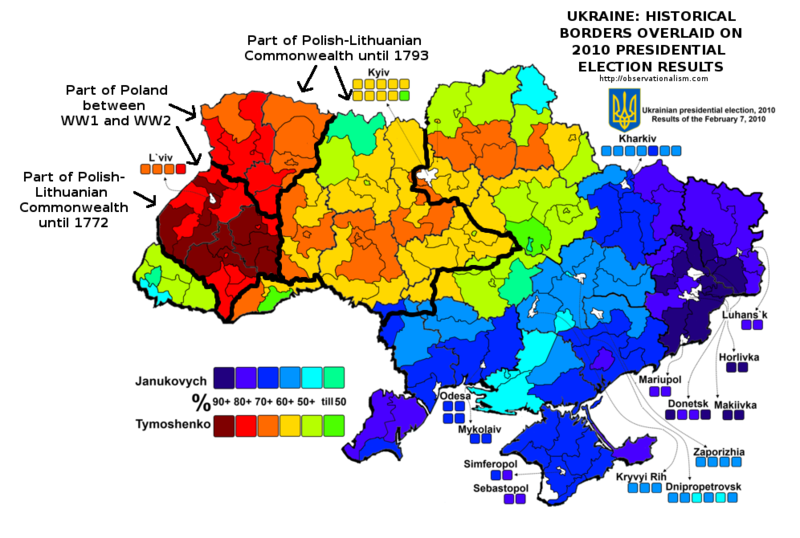 For example: it was Obama himself who arranged the bloody coup in Ukraine and the resulting necessaryethnic cleansing there in order to exterminate or else drive out the residents inthe area of Ukraine that had voted 90+% for the Ukrainian President whom Obama’s people (via their Ukrainian agents) had overthrown. Cluster bombs,firebombs, and other such munitions have been used by their stooges for this purpose, that ethnic cleansing: against the residents there. Obama has spoken publicly many times defending what they are doing, but using euphemisms to refer to it. He is certainly behind the coup and its follow-through in the ethnic cleansing, and none of it would be happening if he did not approve of it. Judging the mere words of Obama’s Law of War Manual by Obama’s actions (such as in Ukraine, but also Syria, and Libya) is judging it by how he actually interprets it, and this technique of interpreting the document provides the answer to the document’s real meaning. It answers the question whenever there are contradictions within the document (as there indeed are). Consequently, what Francis Boyle was reported to have said is, in the final analysis, true, at least in practical terms — which is all that really counts — except on torture, where his allegation is simply false. Obama’s intent, like that of anyone, must be drawn from his actions, his decisons, not from his words, whenever the words and the actions don’t jibe, don’t match. When his Administration produced its Law of War Manual, it should be interpreted to mean what his Administration has done and is doing, not by its words, wherever there is a contradiction between those two. This also means that no matter how much one reads the document itself, some of what one is reading is deception if it’s not being interpreted by, and in the light of, an even more careful reading of Obama’s relevant actions regarding the matters to which the document pertains. Otherwise, the document is being read in a way that confuses its policy statements with its propaganda statements.